Monday, January 21 is “Blue Monday”, a name given to a day in January (typically the third Monday of the month) deemed to be the most depressing day of the year. This year, shift your perspective and make this, not a day to feel blue, but a day to focus on filling your Blue Bin! That’s right, rather than hibernating and feeling worse, spend at least part of Blue Monday – even in 15 minutes after dinner you can get a significant amount accomplished – gathering up recyclables. paper: newspapers, flyers, old business card, mail, etc. plastic bottles and jars: keep the lids on! As a Certified Professional Organizer in Chronic Disorganization, I often encounter clients who unintentionally let things accumulate in their home. If you can relate, you should by no means be embarrassed or feel ashamed. 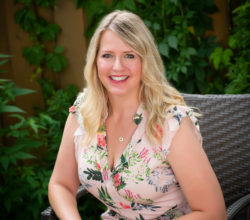 Whether you’re a busy single mom, a stressed out executive or want to help a loved one living with hoarding behaviours, the important thing is to begin taking small steps towards decluttering and organizing. Search for any old magazines, paperbacks and hardcover books you’ve either already read or will never get around to reading, old-dated and duplicate copies of take-out menus, expired coupons and old newspapers. Also, gather up all phone books, even current ones that take up unnecessary space. You can always call 411 or check out canada411.ca for any personal or business phone numbers. The New Year is also presents a great time to get rid of old bills, bank statements and other outdated financial documents. There may even have boxes of income tax papers you can get rid of. As per the Government of Canada web site, you should keep your supporting documents for six years. For reasons pertaining to confidentiality and privacy concerns, you may have some paper that should be shredded. 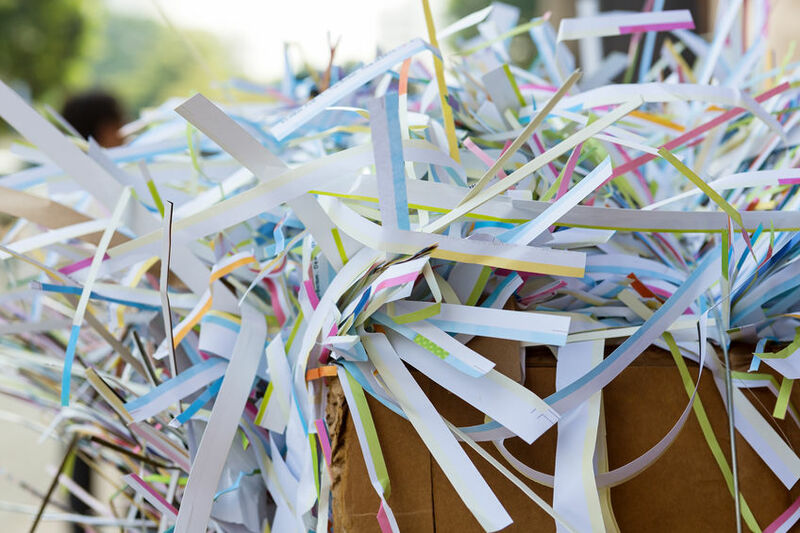 You can either invest in a personal-size shredder for your home, take the papers to work to have shredded (if such facilities exist) or have Clutterfly take care of this task for you. Check your fridge. Have you got more than one bottle of ketchup or strawberry jam opened and half-used? Amalgamate the contents of any duplicate glass jars and plastic containers with the same product. Also, check for anything past the expiry dates. Note that food and beverage containers must be empty. Rinse to remove residue and toss them in the Blue Bin! Also, get rid of all those plastic grocery bags that you’ll never in a month of Sundays use up. You don’t need an entire drawer full, keep only a few. Besides, you can always get more the next time you grocery shop. What about take-out coffee cups? In Toronto, paper coffee cups, which are lined with plastic/wax, and black lids are quite literally, garbage. Only the cardboard sleeves are recyclable. A good reason to take your own reusable travel mug whenever you’re out for coffee. If you get on a roll and end up gathering more recycling than fits in you Blue Bin, any excess can go in a clear plastic bag. Set it out beside your Blue Bin on collection day. 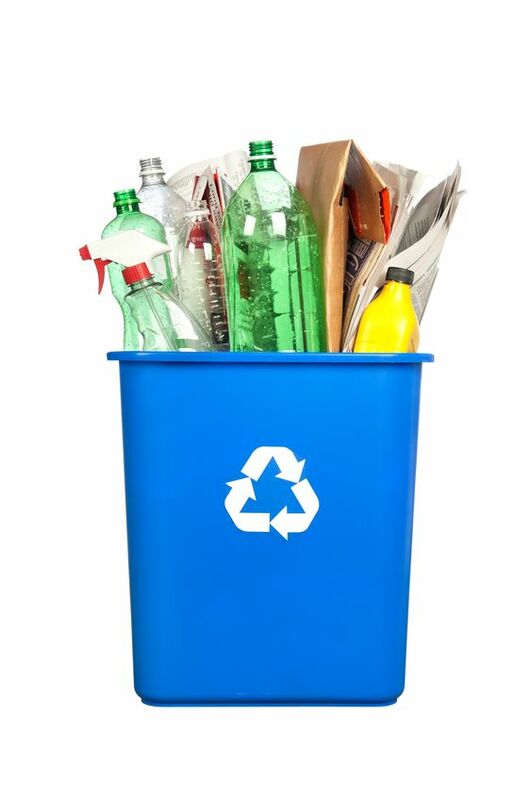 If you have excess recycling on an ongoing basis, call 311 to request a larger or additional bin, free of charge. If you have any questions about Green Bin vs Blue Bin, check the City of Toronto’s Waste Wizard or download the new TOwaste app to your phone. While taking advantage of Blue Monday as a time to focus on filling Blue Bins, Clutterfly is by no means making light of feeling blue being a symptom of depression. I am witness to the effects of mental health on my own friends, family and clients. 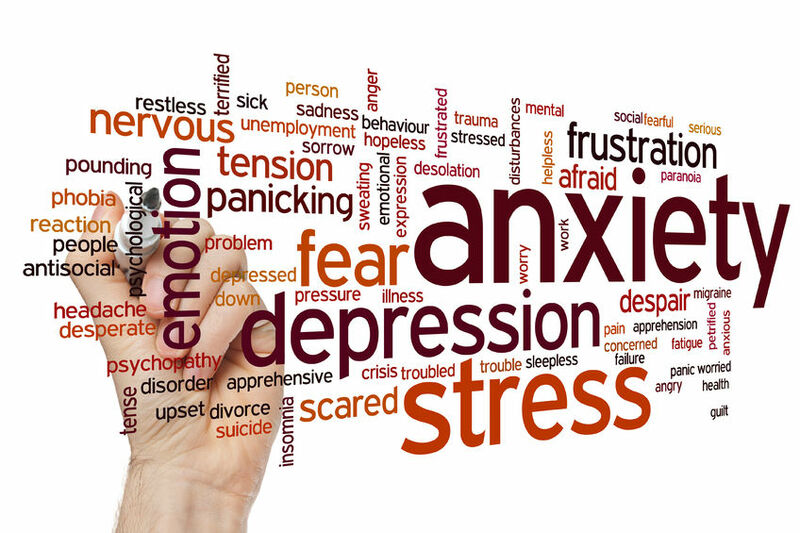 In fact, depression can contribute towards hoarding behaviours and debilitating feelings of being overwhelmed and alone. If you or someone you know is suffering from depression or suicidal thoughts, you’re not alone and there is help. On the Bell Let’s Talk web site is an extensive list of resources, including ones specifically for kids, caregivers and seniors. To get help, click here. For some people, stuff that keeps accumulating over the years can actually be, at least in part, the trigger or cause of several mental illnesses. Once you’ve filled your Blue Bin, be sure to check in on how you feel getting rid of some stuff and clearing some unnecessary clutter. Feels good, right? Need help letting go of stuff you don’t actually need? Perhaps you need help sorting through what to keep, what to recycle and what to get rid of? Or maybe you can deal with getting rid of things on your own but need help coming up with a system for organizing what’s left in your kitchen, office, etc. I am here to help and support any way I can.